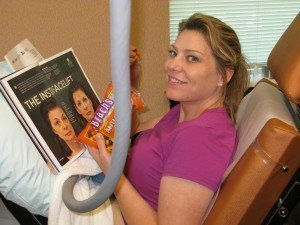 Dr. Carol Wray offers CoolSculpting® to patients in the Roanoke Valley and surrounding areas including Salem, Blacksburg, Lynchburg and West Virginia, looking for a non-surgical option at removing excess fat. CoolSculpting® is a non-invasive procedure that works through controlled cooling to target fat cells underneath the skin. CoolSculpting® treats stubborn fat that diet and exercise alone can’t seem to touch. It treats superficial fat cells around the waist, stomach, thighs, back, arms, and underneath the chin without harming surrounding skin or tissue. 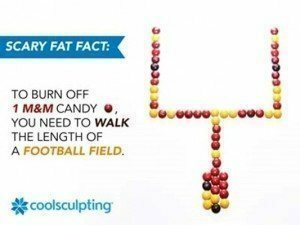 The treated fat cells are then metabolized naturally from your body, and can leave the treated area sculpted and smooth. The procedure is FDA-cleared, safe and effective. CoolSculpting® has been used to treat over one million people. Trained clinicians place the CoolSculpting® device on the targeted areas. Those areas are pulled between cooling panels by suction. The device then cools the fat cells to just above freezing causing destructive crystals to form on the fat cells. The destroyed tissues are naturally eliminated from the body. It is important to know that the surrounding tissues are not affected by this process. Approximately 22% of the fat that has been treated is eliminated. 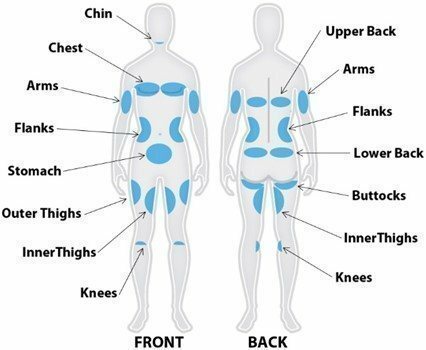 What areas can CoolSculpting ® treat? CoolSculpting® is FDA cleared to treat superficial fat cells in the waist, stomach, back, “love handles”, flanks, inner & outer thighs, chest, knees, and underneath the chin without harming surrounding tissue or skin. If you have small areas of stubborn excess fat, CoolSculpting® may be the right treatment to help contour those areas. We offer complimentary consultations for CoolSculpting® to determine your eligibility! Wear loose, comfortable clothing the day of your procedure. Bring a laptop, book, or something to do because each treatment cycle takes about an hour or more. We provide a television for your convenience to help the time pass more quickly. 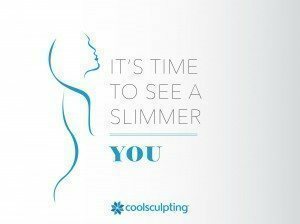 It is important to be within five pounds of your ideal weight to get the most out of CoolSculpting®. Because the effectiveness of your treatment depends upon patient eligibility, we ask that you please schedule a complimentary consultation with one of our providers prior to scheduling your procedure. Because CoolSculpting® is a non-invasive procedure, there is no recovery time necessary. You can return to your normal activities immediately following your procedure. Afterwards, you may experience numbness, redness, swelling, bruising, and stinging. These are temporary and will resolve with time. Results are long-lasting as long as there is no substantial weight gain. It’s important to remember that to maintain your CoolSculpting® results, we suggest you follow a healthy diet and exercise plan. The cost for CoolSculpting® depends on the number of treatments desired. We offer complimentary CoolSculpting® consultations to assist you in planning for paying for your procedure. We accept cash, checks, and major credit cards including VISA®, MasterCard®, and Discover®. We also offer financing through CareCredit®. Payment in full is required at the time of your procedure. Restore, repair and revitalize! Our team of skilled aesthetic professionals takes time to get to know you as an individual, evaluating your physical concerns and developing a treatment plan that works for you. We utilize advanced technologies to help our patients achieve and maintain optimum skin health and aesthetic appearance. Please contact us today to schedule your consultation.